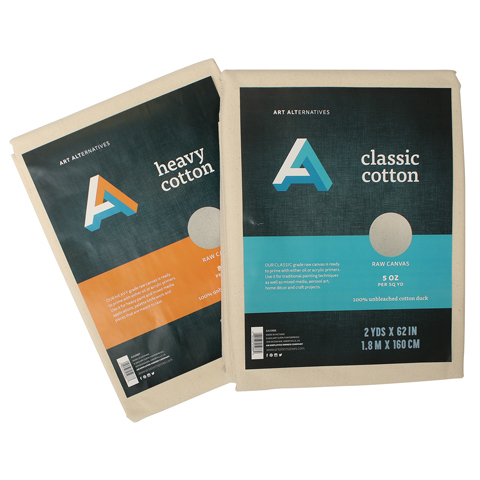 This natural, unbleached cotton canvas is available in three weights including 5 oz., 8 oz. and 10 oz. These two-yard folds are ideal for both students and professionals, and come in easy-to-transport packaging. They are ready for priming with either oil or acrylic primers. They are great for use with oils, acrylics, alkyds, spray paint or other painting mediums.